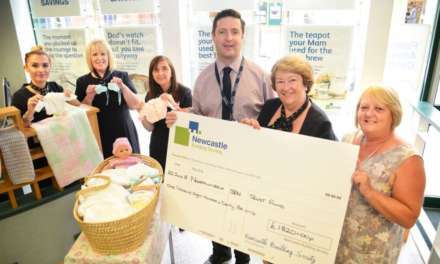 A specialist nursing and residential care home in Durham has raised more than £400 for a charity close to their hearts. 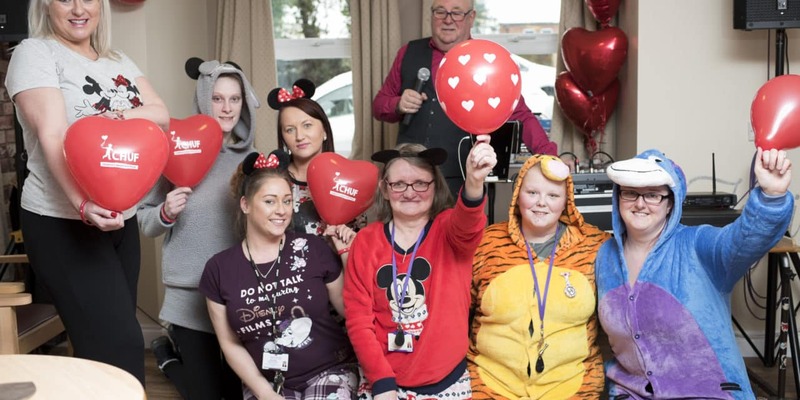 Staff at St Aiden’s Cottage in Bearpark, Durham were chuffed to help raise much needed funds for the Children’s Heart Unit Fund, (CHUF) based at Newcastle’s Freeman Hospital when they discovered that their manager’s new born granddaughter was being treated in the specialist heart unit. 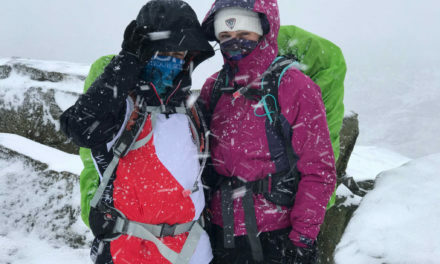 Manager, Amanda Cavanagh’s granddaughter was born in November with a rare heartcondition called Left Hypoplastic Heart Syndrome which basically meant that shewas born with just half of her heart. The unit has performed many open-heart procedures on herand is currently monitoring her progress and recovery. “I’m delighted at the support that our staff have given to CHUF. 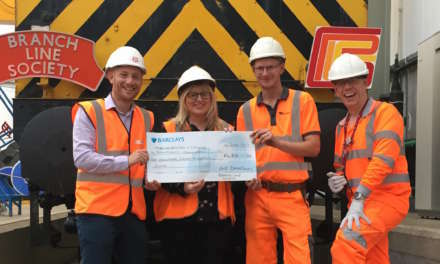 One of the team suggested that instead of having a dress down day on payday that we dress up in our favourite Disney character pyjamas and onesies and donate a fiver to the charity,” said Amanda. St Aiden’s Cottage is operated by Careline Lifestyles, an independent provider of high-quality nursing and residential care, specialising in acquired brain injuries, neurological, mental health needs, learning and physical disabilities for adults. 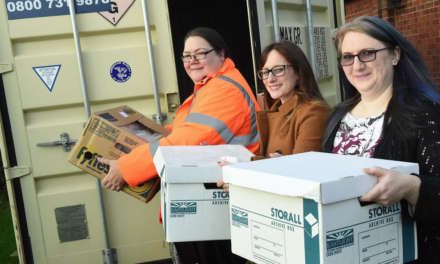 They also provide nursing, residential and social care for the elderly in their nine homes spanning an area from Teesside to North Northumberland.